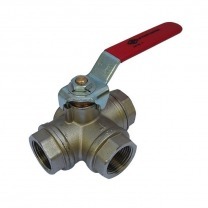 Most ball valves are made of brass. Brass is robust and wear-resistant and can be used for a wide variety of media, including water, oil and air. Brass is not recommended for chlorine, sea water or demineralized water. For these media, plastic or stainless steel is better.